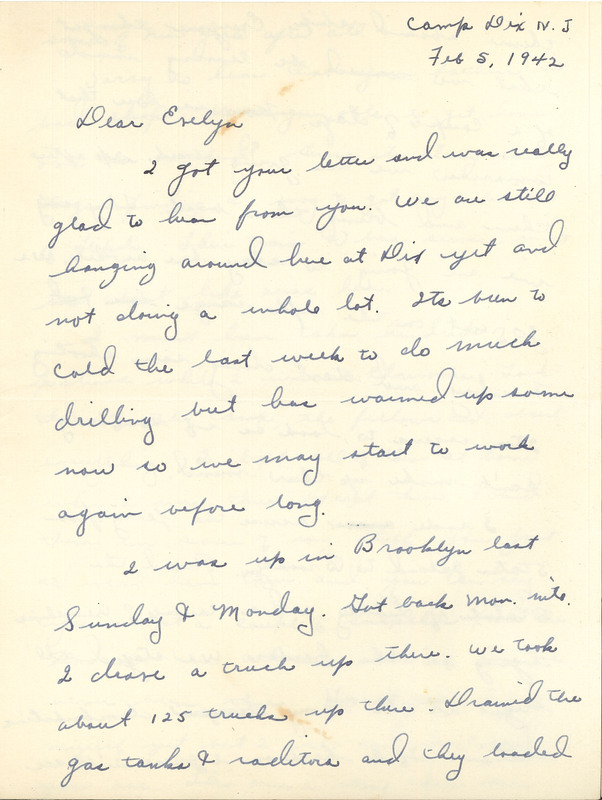 Camp Dix IV J Feb 5, 1942 Dear Evelyn I got your letter and was really glad to hear from you. We are still hanging around here at Dix yet and not doing a whole lot. Its been to cold the last week to do much drilling but has warmed up some now so we may start to work again before long. I was up in Brooklyn last Sunday & Monday. Got back Mon. nite. I drove a truck up there. We took about 125 trucks up there. Drained the gas tanks and radiators and they loaded.